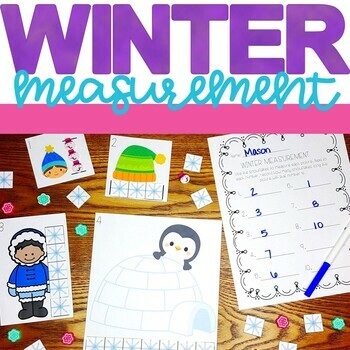 Give students hands-on measurement practice with a fun winter theme! This activity can easily be differentiated and is perfect for morning work, centers, small group, or independent practice. 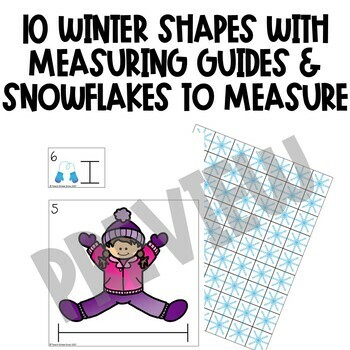 ♦ Introduction to measuring: cut strips of snowflakes the length of each shape. Have students match the correct line of snowflakes to the object. ♦ Pages 3- 9 have winter pictures in all different sizes. There is a guide next to each picture to help beginners know where to start and stop when measuring. 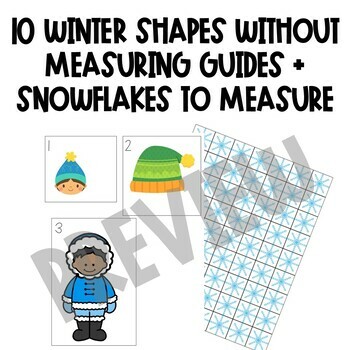 ♦ Pages 13- 19 have the same winter pictures as 3-9 but guide has been removed for more of a challenge or for those students who have experience with measurement. Click the green ★ to follow my store and get notifications when new products and FREEBIES are uploaded. New products are always 50% off for the first 24 hours so following me can save you money!